The creation of balance & harmony is, to my mind, one of the most important tasks that we have. In order to generate it in the world we first need to embody it ourselves, and it is important to do because without it all sorts of distortions can appear, spiraling out from the feelings we hold about ourselves to then color our relationships, before moving on to affect our communities and the world at large. And so this month my offering to you is a simple, profound practice of the heart that creates balance, harmony, and a deep sense of wellbeing. Our western culture today prizes our intellectual abilities above all else, but it is really the heart that is the key to understanding the true nature of life. When the intellect alone is engaged it isn’t possible to act with 100% of our wisdom. But when coupled with the compassion that flows through an open heart, our ability to live fulfilling lives in harmony with all around us becomes our reality. 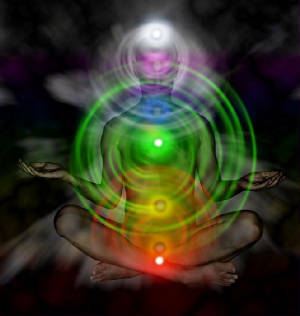 To focus on the heart chakra in the center of the chest every day, and open it by dropping into its core, brings peace to the mind and joy to the heart. If you can, take 10 minutes, sit in meditation, and as you bring your attention to the heart and drop in, imagine there is a beautiful golden ball of light sitting there. Breathe into it and with each breath intend for it to expand and illuminate until it ignites and becomes a vibrant golden sun, expanding and expanding with each breath you take. And take this beautiful light and feed every cell in your body. Nourish each cell with the pure light of your divine Being. And as this golden sun expands take it out further until the whole of your Being sits within this beautiful light that you are. And sit in the golden light of your Being until you feel balanced, joyful and at peace with all around you. Now take the light that you are, expanding it into your family, into your community, and then offer it to all humanity, as you take yourself out into the world. And notice how good you feel about life, and how positively people respond to you. Beautiful post Sarah; thank you!